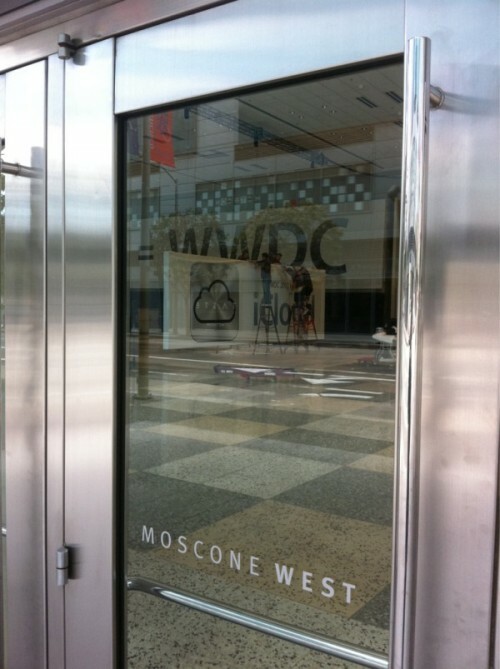 Apple has started decorating the Moscone West conference center in San Francisco with iCloud banners, revealing the icon for the first time. Photo by @stop. 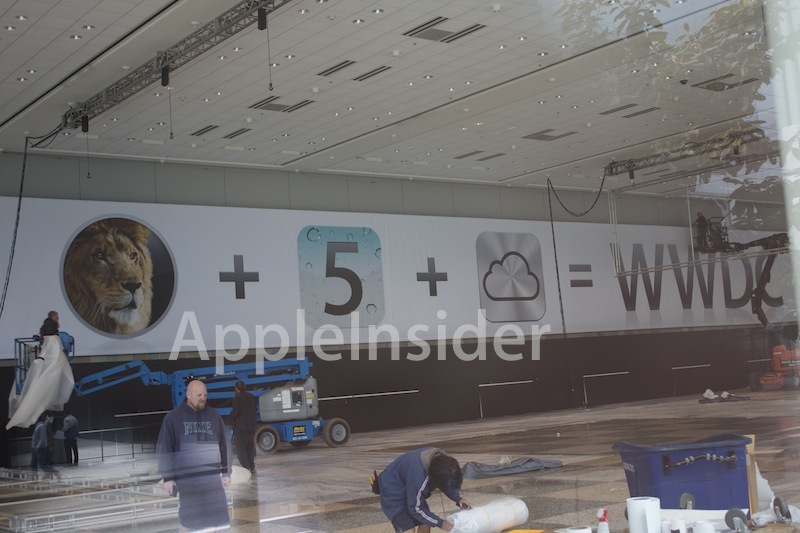 Apple has announced that it will be discussing iOS 5, Mac OS X Lion and iCloud at next week's Worldwide Developers Conference (WWDC) to be held at the facility. Steve Jobs will be delivering the keynote on Monday, June 6th. Apple has been wrapping up deals with music labels and publishers to allow users to stream purchased music to their computers and other devices using the service, and has also been reported to be racing to include movie and TV content as well. Here it is guys... Found the official logo. Why the hell does iOS5 still have the lame waterdrop background? The iCloud logo is ugly as sin. Brushed metal? iOS and OSX both moved complete away from that. Yuck. And I guess (Lion / 5) x Cloud would be steamed lion appetizers. Wonder if the cloud rotates while syncing.